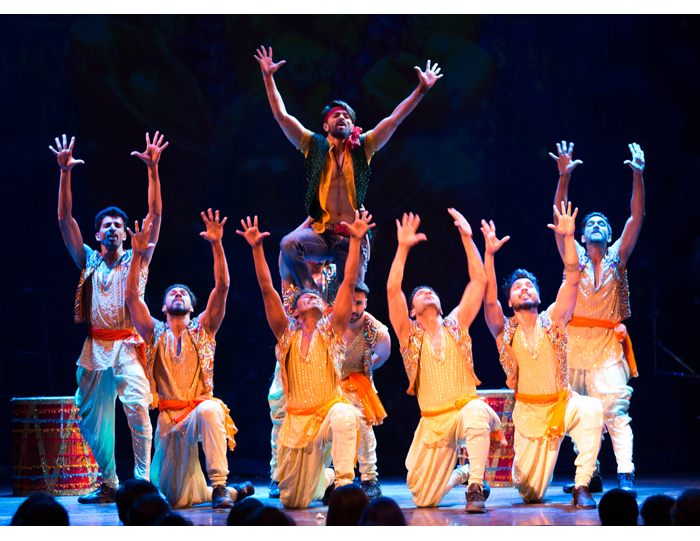 The Taj Express has pulled in for another magnificent run at the Peacock Theatre in Holborn, and if you haven’t seen it before, you need to catch this dazzling musical from director Shruti and choreographer Vaibhavi, the legendary sisters who make up the Merchants of Bollywood. Inspired by the world’s most OTT film industry, the story is set to some of Bollywood’s most famous songs, including hits from the Oscar-winning ‘Mozart of Madras’, A.R. Rahman. The 2hr 15min performance follows aspiring film composer Shankar and his trio of studio musicians as they create the score for ‘Taj Express: The greatest love story ever told' from director Raj Pakora, a boss from hell who puts impossible deadlines on his staff. 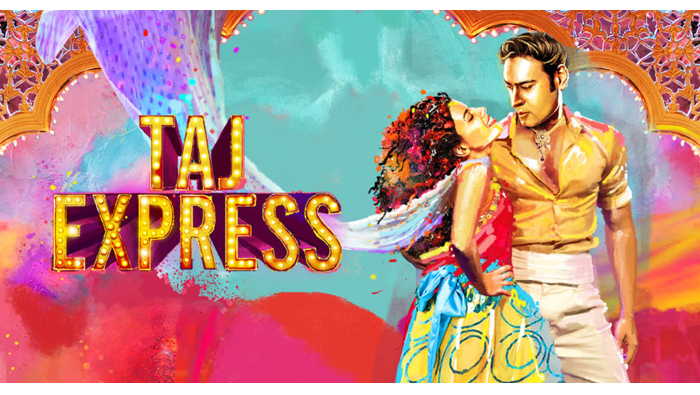 The Taj Express is a love story between beautiful actress Kareena Kaboom (that’s the last of the ridiculous names, promise) and dancer Arjun who runs a social project in the slums. It’s an unlikely pairing that would never happen in the real world, but when has Bollywood ever been about reality? Arjun helps Kareena find more meaning in her life by rediscovering dance and poetry and escaping the trappings of celebrity via the Taj Express. Expect jaw-dropping sequences from the superb all-Indian cast who do everthing from South Indian dances, Dandiya, Bhangra and breakdancing, scenes inspired by Hollywood (Back to the Future and Dirty Dancing fans will spot these a mile off), gnarly electric guitar riffs and razor sharp costumes. 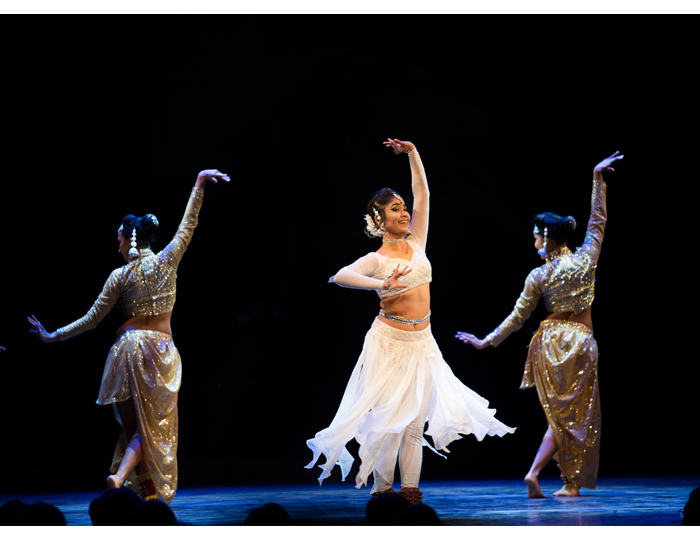 As you would expect from Vaibhavi, the choreography is flawless. At times the dancers spin so fast across the stage, they barely touch the floor. The energy is so full-throttle it makes your head spin. There’s a dramatic fight scene, camp boy band dance sequences and romantic love longs. There are slower numbers too; some were so serene and pure they left the audience spellbound. The show ends with a twist and in classic Bollywood style, ends with a wedding and a dance number that was probably my favourite in two hours of non-stop entertainment. 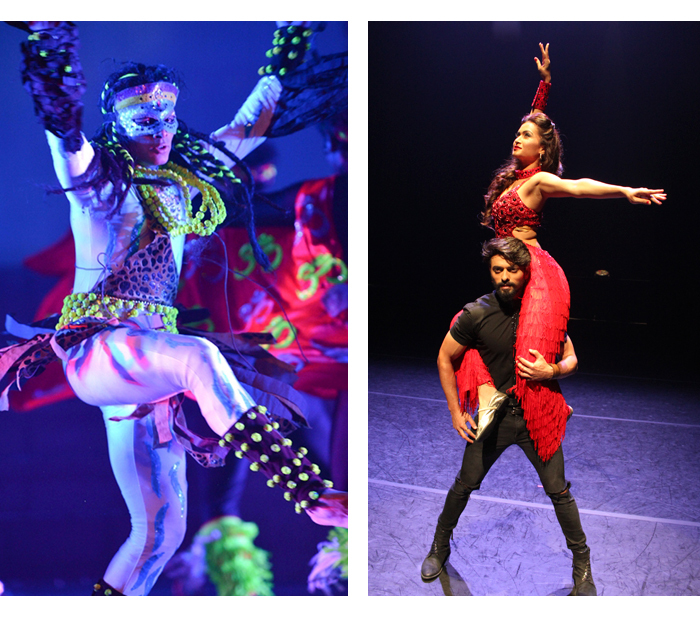 Bollywood is a captivating beast, but if you think on screen is amazing, on stage is a whole other world of spectacular. I wish I had eight more pairs of eyes so I could take in all the detail. We had a great view from our seats in Row H, the perfect distance from the stage. Sit too close and you won’t be able to absorb the full experience of this brilliant show. You’ll laugh, you’ll gasp, and by the end, your hands will be red raw from clapping. Take your mum, take your girls, take your groom – heck, take your next door neighbour. Just don't miss the Taj Express. On at the Peacock Theatre, Holborn until 20th October 2018.